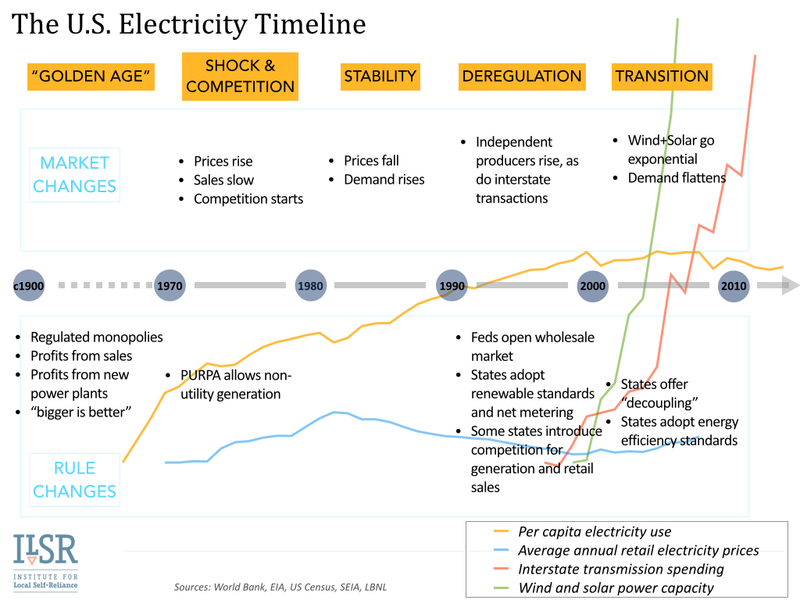 The 21st century electricity system is radically different. The scale of electricity generation is rapidly shrinking, from coal and nuclear power plants that can power a million homes to solar and wind power plants that power a few to a few hundred nearby homes. Electricity demand has leveled off, so that every unit of new wind and solar power produced for the grid displaces a unit of fossil fuel energy. Batteries and electric vehicles provide new tools for distributed energy storage. Smartphones and smart appliances are giving electricity customers unprecedented opportunities to manage their energy use. It no longer makes sense to preserve last century’s forms of utility ownership and control in a century where cost-effective technology enables widely distribution production and ownership of electricity. And yet, a majority of state laws governing electricity service still preserve this monopoly model. Even those that do not have made little progress on democratizing the electricity system. The most potent change has been the growth of conservation and energy efficiency. 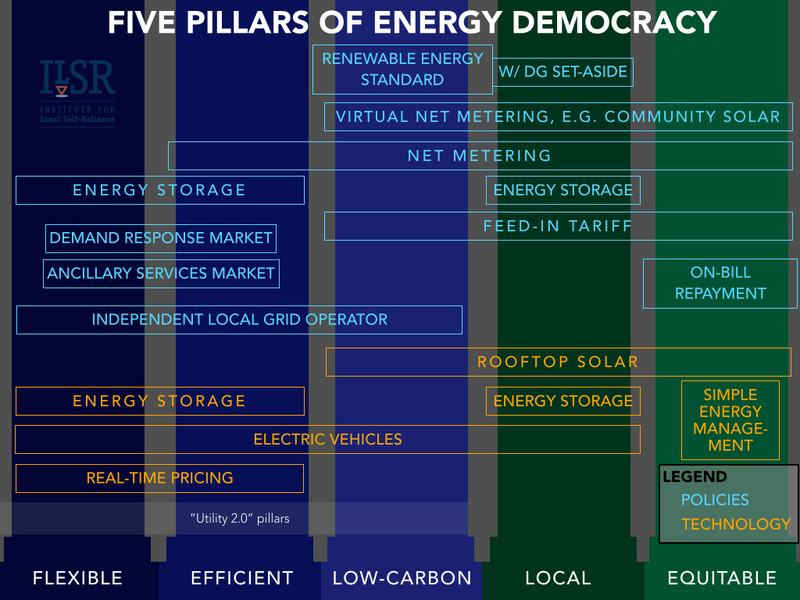 These tools offer non-utility and cost-effective alternatives to new power plants, and as such, illustrate the unnatural nature of utility monopolies. Many states have shifted to independent, non-utility delivery of conservation and energy efficiency services (e.g.Efficiency Vermont). 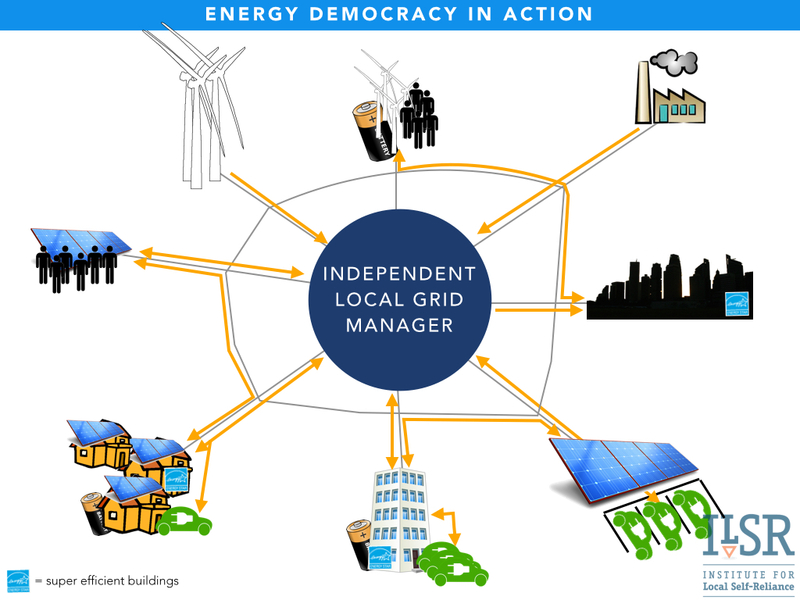 John Farrell directs the Energy Self-Reliant States and Communities program at the Institute for Local Self-Reliance and he focuses on energy policy developments that best expand the benefits of local ownership and dispersed generation of renewable energy. For timely updates, follow John Farrell on Twitter or get the Democratic Energy weekly update.